The new Miss Gabon is Ruth Jennifer Ondo Mouchita who competed as Miss Haut-Ogooue. She is 20 years old and stands 1.81m tall. Miss Gabon 2013 will represent her country at the 2013 Miss Universe Pageant. Brunilla Moussadingou (20) was the first runner-up and will represent her country at the 2013 Miss World Pageant that will take place in September in Indonesia. 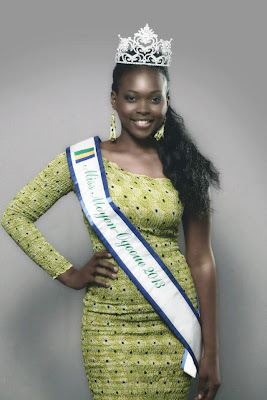 Moussadingou competed as Miss Moyen-Ogooue and stans 1.75m tall. The winner is a disappointing choice for me but I like the girl who is going to Miss World.